NLLA 2013 Poetry Contest Winners! This morning, NLPL Collections Librarian, Jewel Counsens, was interviewed live on CBC Radio’s St. John’s Morning Show to announce the winners of NLLA’s annual poetry contest for Canadian Library Month. Ms. Counsens read the winning entries by students Danika Hodder (Mrs. Boyde’s grade 1 class at Eric G. Lambert School, Churchill Falls), Dillon Burden (Ms. Hancock’s grade 2 class at James Cook Memorial School, Cook’s Harbour), Paris Keats (Ms. Butler’s grade 5 class at Centreville Academy in Centreville), Abigail MacLeod (Mrs. Stapleton’s grade 7 class at Sacred Heart Academy, Marystown) and Nicholas Power (Mrs. Stapleton’s grade 7 class at Sacred Heart Academy, Marystown). Listen to the podcast to hear their terrific limericks! Or read them on our facebook page. Al l five students win books generously donated by: Creative Publishing, Breakwater Books, Saunders Book Co., Library Services Centre, Raincoast Books and Baker & Taylor/YBP. This year, we received over 200 entries from more than 15 schools across the province. 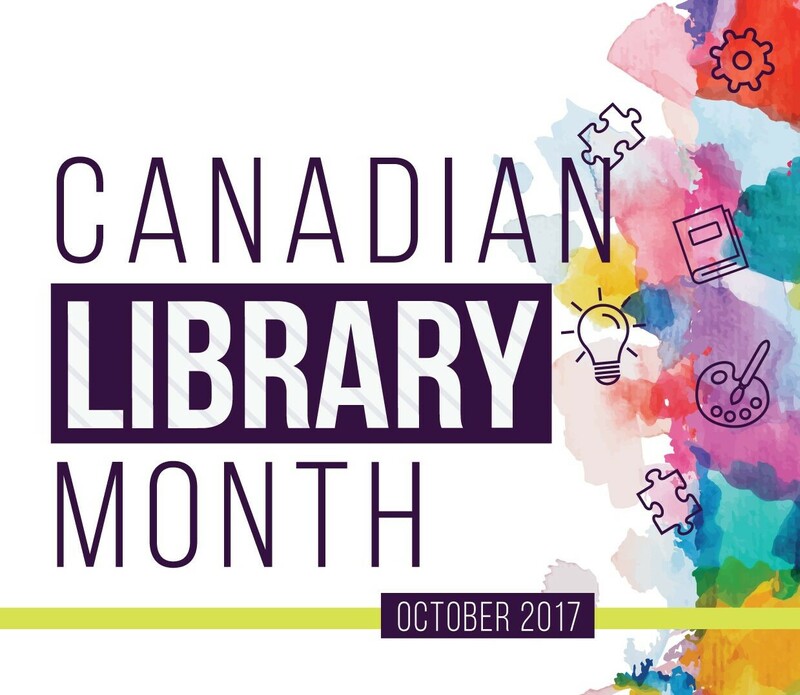 Thanks to this year’s Canadian Library Month committee members: Lorraine Jackson, Amanda Power and Beth Maddigan, and special thanks to Jewel Counsens for getting up early to do the radio show! October 21-27 is International Open Access Week! “Open Access” to information – the free, immediate, online access to the results of scholarly research, and the right to use and re-use those results as you need – has the power to transform the way research and scientific inquiry are conducted. Visit www.openaccessweek.org to find out ways you can get involved in promoting OA, and for examples of how others are advancing OA and taking action this week. 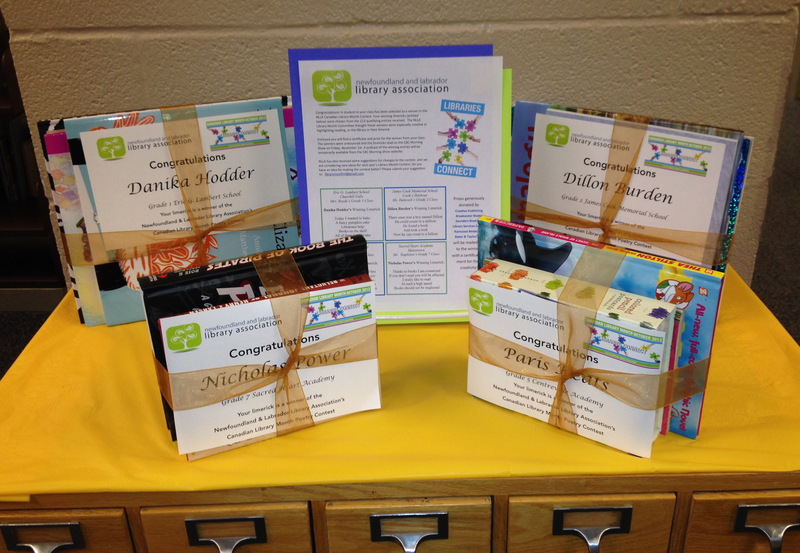 Posted in Advocacy, Canadian Library Month, Events. Bookmark the permalink.